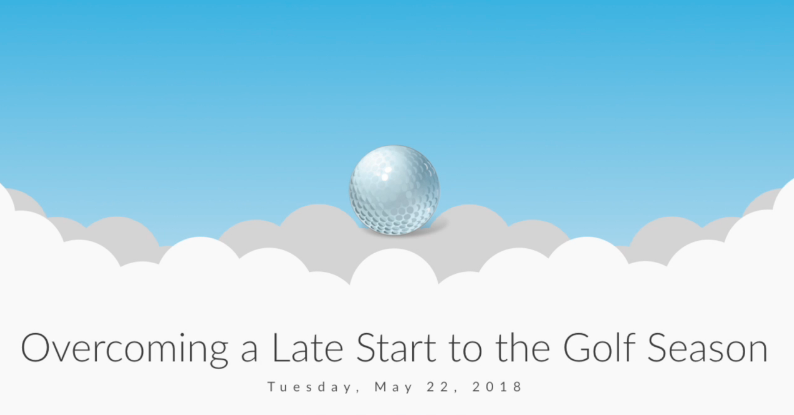 How many times have you gone into the golf season with intentions of preparing your marketing strategy and then been hit with a tidal wave of unforeseen issues and non-stop work days, shoving those marketing tasks down on the priority list? We understand you are managing numerous operations at your facility - including tee time reservations, F&B operations, retail, among other sales verticals. In this week’s blog, we provide a checklist of app items to cross off to make your 2019 season and marketing efforts smooth! Are you curious what percentage of your tee times are made via your club app? Here’s how you can find that out! All you need to do is contact your Tee Sheet Provider and request they provide you with a separate sales channel in your tee sheet. Once you have that unique url, you can paste it into the backend of your app under “booking options” and watch the sales roll in. You will be able to view booked revenue via the app, in the dashboard of your tee sheet provider. If promoting tee times on multiple online channels (website, social media platforms, etc.) we suggest using different booking URLs for each to track the performance of our marketing efforts. New this 2019 season is the ability to send targeted messages and offers to specific customer segments and individuals! 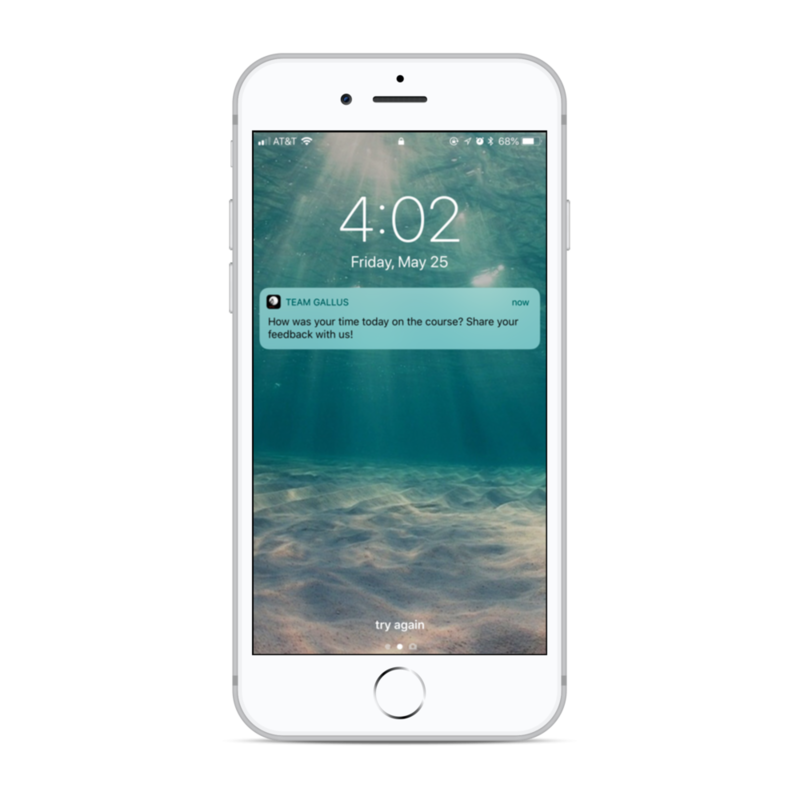 With this feature, you can send more relevant messages to customers based on their profile and spending data! For example, if you have a Ladies’ Spring Scramble in May, you can send an event reminder to all women players from years prior to encourage early registration. Or if your club offers a 2019 Players Card, with discounted golf rounds, you can send a message to all 2018 Players Card Members. In preparing for your targeted messaging strategy, you will need to export the email addresses of customer segments you want to message. 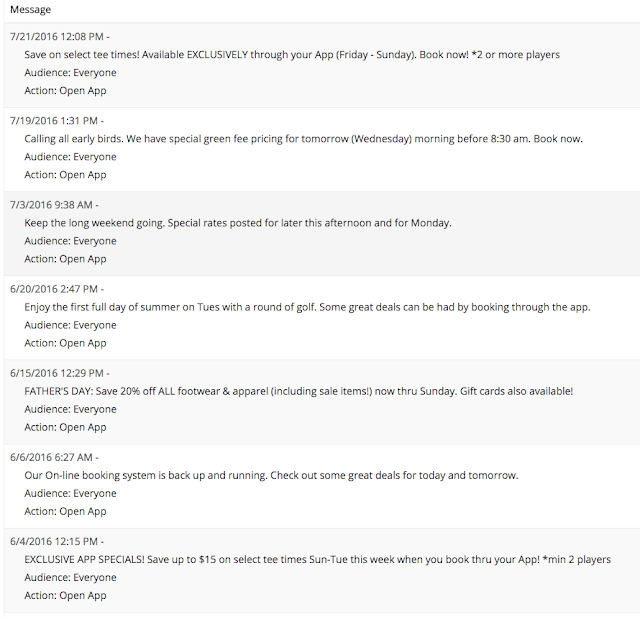 Typically, you can export these from tee time booking engine, event registrations, email marketing platforms, etc. If you want to learn more on targeted messaging and offers, please read our blog on Why Targeted Offers & Messages Are Important. Before you are in the middle of the busy season, create a marketing checklist that will remind you of App Promotion messages to send to your audience. Even if your app is five years old, it’s important to promote each season with your new “in-app rewards” or “upcoming club events”. By making this an initiative it reminds your audience your club app has content that is fresh and exclusive, increasing its value to your customers. In order to continue to grow downloads throughout your season, we recommend following the “marketing gameplan” below. 1-3 social media post each week highlighting different features and benefit of the app. 1-2 dedicated emails per month that list all features of your club app. 1 push notification each week. Do you need help promoting your app? No problem! Learn more about our marketing solutions that have helped clubs not only grow downloads but increase club revenue! Do you know you can have up to 20 geofence messages configured for your club app? These messages are ideal when targeted your customers visiting specific locations. We suggest placing these over high traffic areas, golf megastores, or even competing courses in your area! 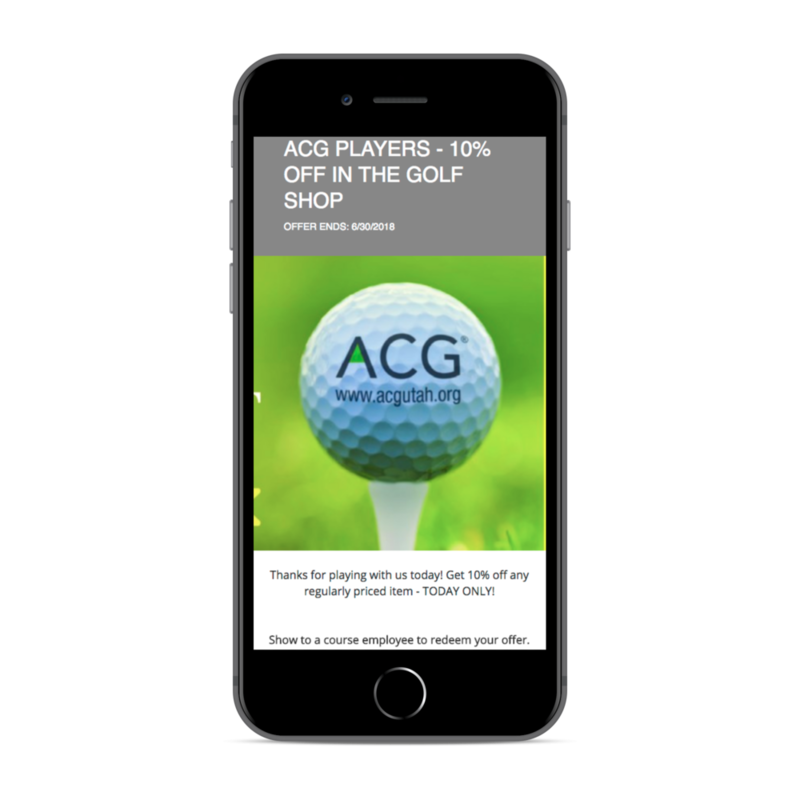 Create a specific offer or relevant message associated with the location, so your customers are incentivized to return to your club. One location we see get very high send rates, is the one placed over a golf course. No surprise since those who have your Club App are likely to visit your facility, right? But when you consider how many hundreds of times this message can be sent each week, it’s a good idea to customize your messaging from time to time. Update the message over your course to promote F&B specials, new menu items, golf shop specials, upcoming club events, etc. Anything that can drive foot traffic and awareness to a club offering at your facility will be valuable to your bottom line. The beauty of our geofence technology is you can “set it and forget it”. However, we always recommend checking in each month to see which messages are performing well to improve future messaging. Did you utilize the Offer Locker last season? This tool allows courses to configure exclusive in-app rewards that can be broadcasted to all your app users. During the high season, it’s a good idea to have 2-5 offers per month available to your customers. These can be tied to any operation of your business and do not have to be discount promotions. Create a bundle package of “The Ultimate Golf Experience” including golf, cart, lunch, beverages, etc. Once you have your monthly offer locker rewards ready, configure and schedule them in the Gallus Dashboard. As the start date for these offers comes up, they will automatically populate for your customers in the app. 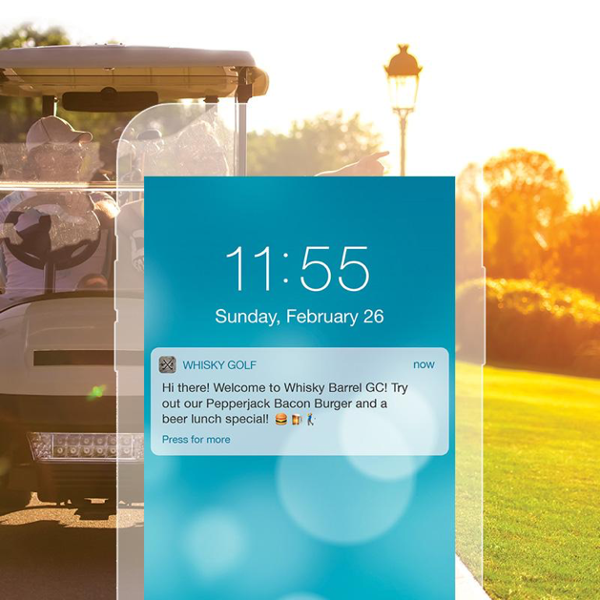 This probably goes without saying, but as a reminder, having any upcoming club events or promotions in your app is valuable content to provide to your golfers. Think of your Club App as a hub of information on all things related to your club! A good starting point is to create a document that has all your annual events and promotions listed in the month they take place. Update your app with those events at the beginning of each quarter, month, or whatever frequency that makes sense for your initiatives. Do you have an existing Loyalty Program available in your Club App? Great! Before your season starts, makes sure any rules, verbiage, end dates have been updated. If you want to add a Loyalty Program, we have points and punchcard program types. These are simple to set up and a great launch date is at the beginning of the season. Including loyalty in your app provides additional incentive for customers to download and be reminded of your facility, as your business is now conveniently located on their smartphone device! If you have any questions about your app or best ways to prepare for the season, please contact support@gallusgolf.com or your account manager. Find out how industry leaders are marketing to capture more rounds of golf, increase loyalty, and using technology to attract repeat business. Click the image below to watch our education webinar. Driving Customer Loyalty With Your App! Creating a simple to use, easily accessible, and enticing loyalty program can make a significant impact for any business. Earlier this year, Gallus Golf made some great enhancements to the Loyalty Program in your app, adding a new points-based option, in addition to the punch card loyalty program. You can now reward your loyal customers for every dollar they spend with you. Each customer will earn a point for a dollar spent, and you can create rewards for different point levels they reach. As always, you control and customize this for what works at your club. Creating a loyalty program that lives IN your app is beneficial for everyone. YOUR CUSTOMER has easy access to how close they are to their next reward, and which is important when they are making the decision on where to play their next round. YOU increase the number of customers downloading YOUR app because to benefit from the loyalty program, they must have the app on their phone. Below are a couple more examples of some easy to set up Loyalty Programs in your app, to drive different areas of revenue at your club. Reach out to your account manager, or contact support@gallusgolf.com if you want help setting up loyalty. GET SOMETHING SETUP FOR YOUR 2017 season! Out of the norm for our App of the Month interview, I actually got to spend some time with this month's app operator from the Golf Wichita app, their super dynamic Assistant Manager of Golf, Shana Appelhanz. We were both attending the Golf Inc. Strategies Summit in Austin, Texas last week, and I was fortunate enough to capture a quick conversation in video with Shana about their app. Starting this month, we are replacing one of our Weekly App Tip's each month to share with you a Featured Course App and that course's operator to highlight what has been working for them. 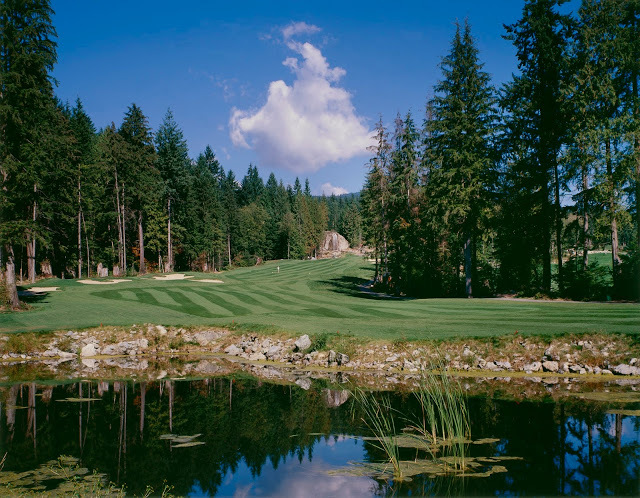 In our first month ever, we have Gary Nedergard from Northlands Golf Course, a municipal course in Vancouver, BC. The success Northlands has had with the app can be directly attributed to their team, and their leader Gary Nedergard. Their recognition of the capabilities to drive revenue they have with the tools of the app has driven this. 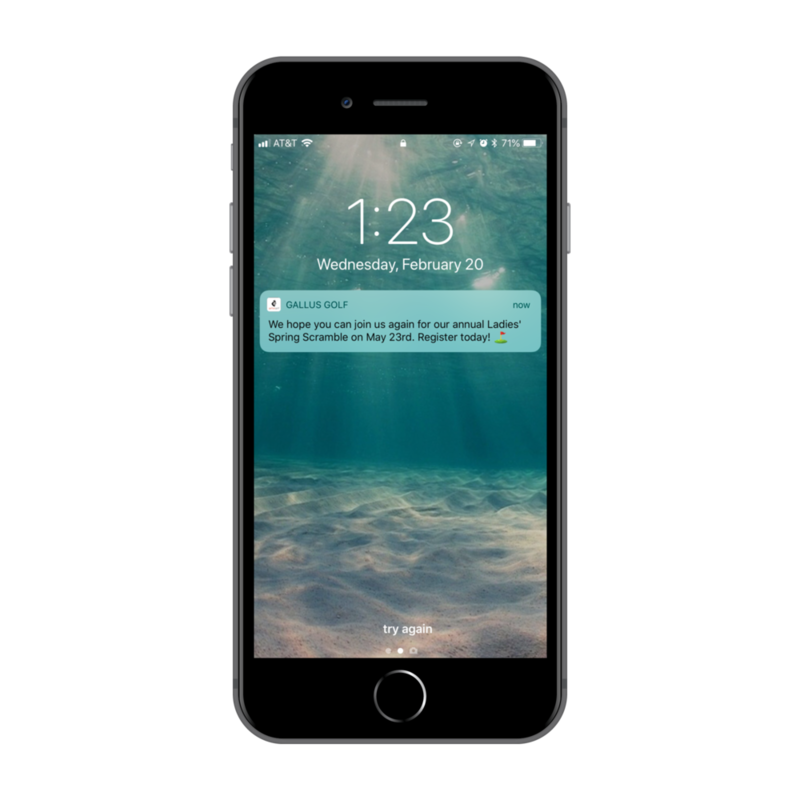 Upon launching the app they immediately had their entire team embrace the app, and from there getting their customers to do the same became easy. Just like any investment a club makes in its future, Northlands has treated the app as a key piece of its long term success. 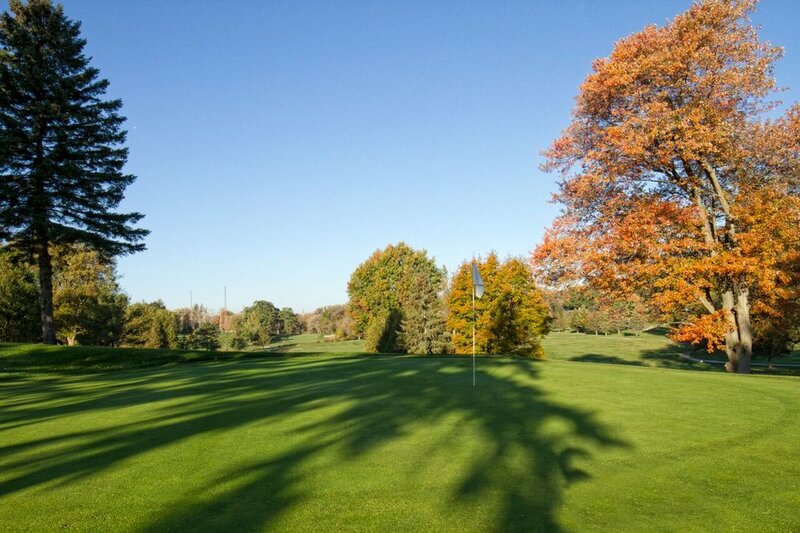 Rob @ Gallus Golf: "Tell me a little about your experience with the app, how customers have embraced it, and what role it plays day to day for Northlands." We knew it was going to be successful, but our customer base here embraced it right off the bat. We had our staff, along with the promotional materials from Gallus, begin talking about the app right away. We would show our customers 'it's so simple and it's free, just download it right to your phone.' We put the QR codes everywhere, our starter was telling people to download it for the GPS, and right from day one it has been just outstanding." Rob @ Gallus Golf: "Do you think that's been a key for you then, getting your staff to 'buy-in' and make sure you're increasing customer awareness of the app?" Gary @ Northlands: "Exactly it has. To this day, I think we are in year 4 with the app, even though our power carts have GPS screens on them, which are pretty slick, we still promote the app to everyone to download. We are about a 60% ratio of riding to walking course. We are constantly letting people know, this is not just for GPS, this is for specials, access to last minute discounts, traffic notifications, again, just communicating with our golfers in general, we let them know the app is the best way for all of that. It is not intrusive, it's not an email with people not opening them as much any more, considering them pretty much junk mail. So our staff to this day, even with a good core, loyal base here, we are still getting faces we have never seen before each day. I hear our staff saying all of the time, 'oh, by the way, if you don't have our mobile app and you plan to play here, it takes just a few seconds to download', and they do it right there at the counter. So, the staff does have to buy in, but I know I have been talking over the years with other operators interested in the Gallus app, and one of the first questions they ask me is, 'how did you get your staff to buy in?' I would reply, 'There really is no buy-in. That's part of their job, telling people about this great tool we have.' So at every access point, the counter, the starter, the marshall, on our website, just so many avenues, you have opportunities to drive it home to the customer to get the app." Rob @ Gallus Golf: "Tell me, Northlands, typical calendar year, how many rounds of golf?" Gary @ Northlands: "We budget for 48,000. Our high mark was 52,000 back before the crash, or before Tiger crashed his vehicle into a tree! With weather being such a factor, we have averaged about 46,000 over the last 5 years." Rob @ Gallus Golf: "So it looks like based on the numbers I know, about one-third of your rounds are being booked through the app then?" Gary @ Northlands: "That's right. I would say about 80-85% of all rounds booked are done online or through the app. We do still take phone calls, but our online booking rate has been that high. Even before the app we may have been a bit high compared to other courses, but since we got the app up and running, BOOM, it took off big time, and this just proves that simple technology works. Once you put your information it, it is a quick three step booking process, and that is with a booking engine we consider 'clunky' as it is right now, although we are looking to change it." A couple weeks into the availability of a Loyalty/Rewards program, and with some very solid feedback from some of you, we would love to share some ideas and suggestions based on what we have seen and heard. Tip #1: Set Attainable Goals. Launching any program that requires your customers to be engaged should compel you to position them to succeed. Your customers enroll in your new Loyalty program, get excited about it, begin to participate, and then quickly realize they won't ever earn the rewards, they will quickly become disillusioned and the desired effect of increased Loyalty will actually result in exactly the opposite. Tip #2: Match Your Loyalty Programs to Internal Business Goals. Use your new Loyalty capabilities to drive traffic to areas of need within your business. For example, the restaurant at your club has introduced a fantastic new menu for this season and you're excited to debut it and increase revenue. Launch a program that earns your patrons punches for levels of dollars spent -- "For every $5 spent in the restaurant, receive a star, and when you reach $100 total spent you will be rewarded with $20 on your next dine-in experience." Some courses are also using the Loyalty program to drive traffic to their driving ranges, pro shops for merchandise sales, and of course to increase rounds of golf played. Get outside of the typical golf operator box if you want with these programs because you have complete autonomy in what you set up. Tip #3: If You Don't Want to Give Away Golf, But Want to Build Around Rounds Played, Find Another Reason to Keep Them Coming Back. Just because you build a Loyalty program based around a certain number of rounds of golf played does NOT mean you have to reward your golfers with a round of golf to build their loyalty to your club. If a golfer is choosing where he/she would like to play on any particular day and the opportunity is there to earn some reward, any reward, by playing your course, the likelihood they will choose to play your course increases. A program could be as simple as this: "Play 5 rounds of golf in the month of June, and with every round played after that until the end of July receive a complimentary hot dog and soda." This drives frequent play for the month of June, and then when given the choice of where to continue to play over the course of the next month, the golfer is motivated to come back to your course, AND you still get to charge him for golf, only giving away about $1 for the hot dog and fountain soda. Tip #4: Promote Your Program. Now that you have it, talk about it. Put it in your monthly emails you send, post all about it on Facebook, have some fun and make a video about it and share it all over the internet, send push notifications out about it, and most importantly, make it a mandate that your staff talks with every customer about it. It's not any good if you keep it to yourself! FINALLY, it doesn't have to be perfect. Don't be afraid to follow these tips and launch something just to get it out there and get your customers participating. For so many of you who are at the beginning of your seasons, your clients are building their patterns for the year right now, take advantage of this and get them engaged and Loyal now.